Fifty years ago, the epicenter of counterculture, the San Francisco neighborhood Haight-Ashbury, attracted young people by the thousands. 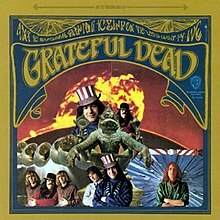 Though an eclectic group, they often shared similar beliefs: experimentation, a rejection of consumerist values, peace, and a general opposition toward the Vietnam War. They also shared a passion for music. 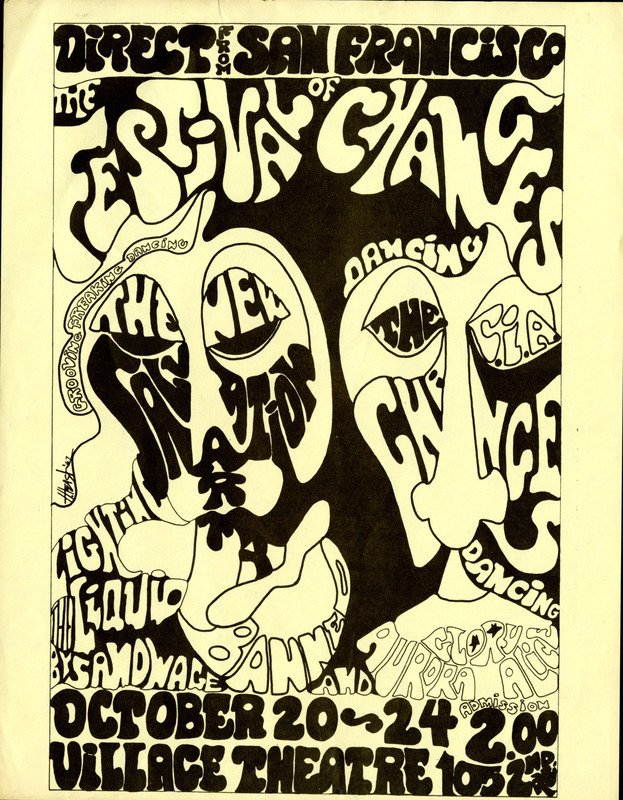 The Haight district came alive with dance parties featuring local stars like the Grateful Dead, Jefferson Airplane and Big Brother and the Holding Company. 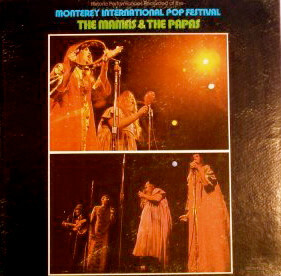 Events like the Human Be-In and the Monterey International Pop Festival defined the spirit of the Summer. Meanwhile, across the Atlantic, London's own Summer of Love was blossoming. 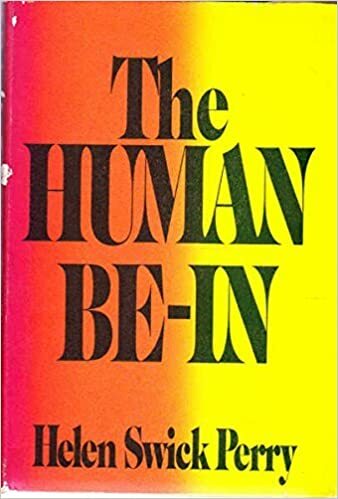 Young people moved to the city and lived communally, sharing the anti-establishment views of their peers in Haight-Ashbury. With the UK release of both The Beatles' Sgt. 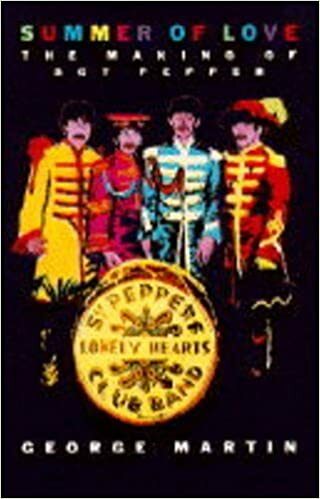 Pepper's Lonely Hearts Club Band and The Jimi Hendrix Experience Are You Experienced in May 1967, and the emergence of Pink Floyd and psychedelic culture, a similar revolution was happening in London. 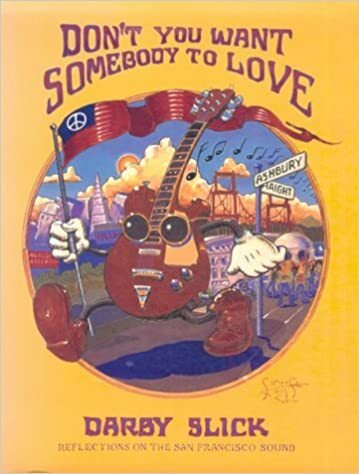 This guide offers a starting point for exploring the artists, music, fashion, and culture of the Summer of Love on its 50th anniversary. First two handbills from the Jeff Gold Collection; other artwork from the Helen Hersh Collection. Best of Jefferson Airplane by Jefferson Airplane (Grace Slick, Marty Balin, Jorma Kaukonen, Paul Kantner, Jack Casady, Joey Covington) ; with additional musicians. 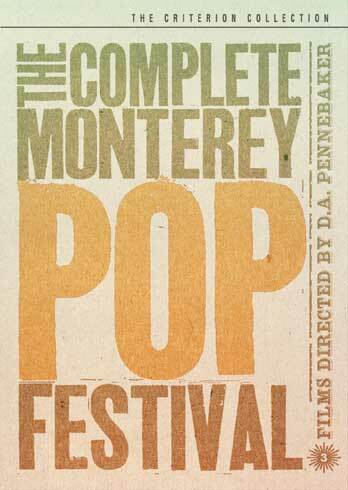 The Complete Monterey Pop Festival: Original Film, the Festival, and Live Recordings by Lou Adler, John Phillips, et al. 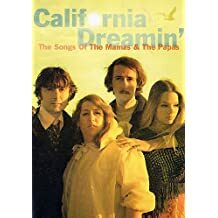 California Dreamin' : The Songs of the Mamas & the Papas by John Phillips, Michelle Phillips, Denny. Doherty, Lou. Adler, Barry McGuire, Richard Rodgers, Mamas and the Papas (Musical group), Universal Music Enterprises. 65 pages. Scores for piano, guitar, and vocal. Songs include California Dreamin' and Monday, Monday. Listed below are notable collections and items of interest. 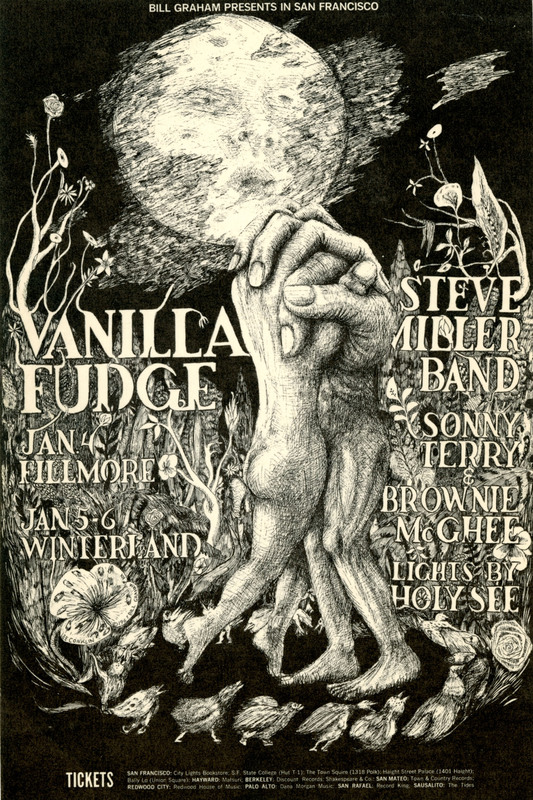 These handbills from the Manny and Skippy Gerard Collection include handbills for performances by Jefferson Airplane, Quicksilver Messenger Service, Country Joe and the Fish, Grateful Dead, Moby Grape, Big Brother and the Holding Company, Flamin' Groovies, and others. 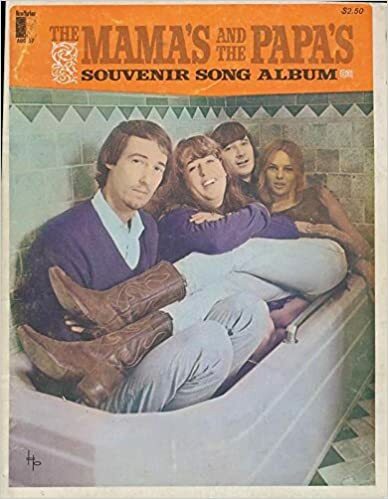 This subseries includes artist files for performers including the Mamas and the Papas, Jefferson Airplane, Jimi Hendrix, Janis Joplin, and many others. 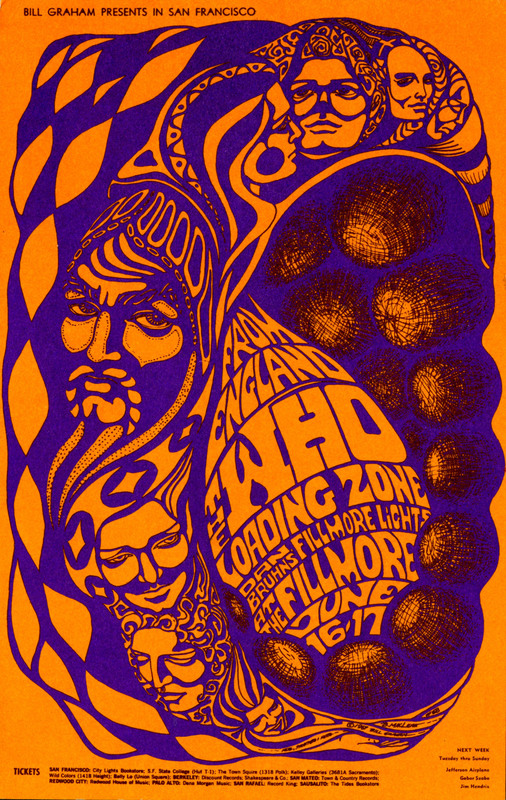 This subseries also includes documents related to the Monterey Pop Festival of 1967 and the San Francisco Sound. 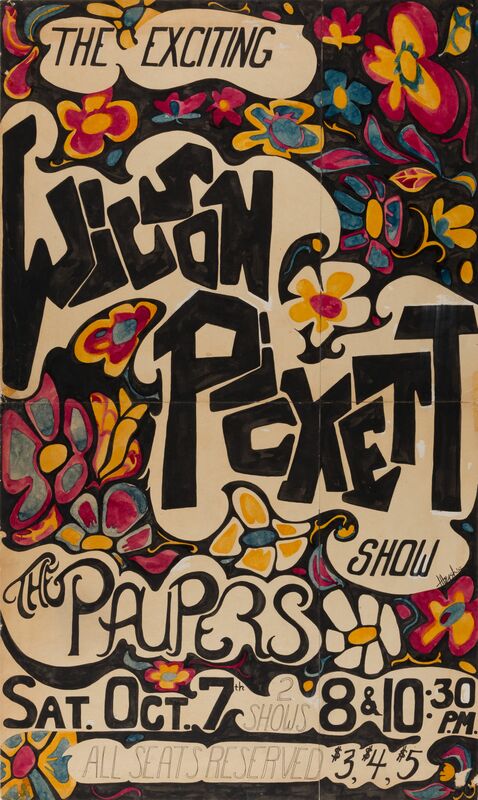 Handbills and postcards from San Francisco's Avalon Ballroom from the Manny and Skippy Gerard Collection. 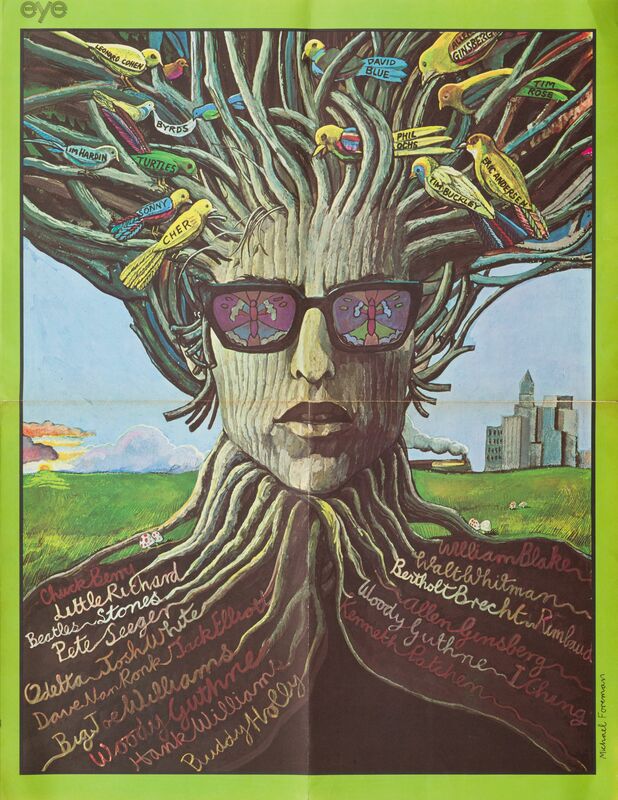 These include handbills for events including Krishna Consciousness Comes West with Swami Bhaktivedanta, the Daily Flash, the Great Society, Rising Sons, Charlatons, Sons of Adam, Big Brother and the Holding Company, Jefferson Airplane, and many others. Non-commercial VHS recording of Jimi Hendrix at the Monterey Pop Festival in 1967 from the John Platt Collection. "Drop out - detach yourself from the external social drama which is as dehydrated and ersatz as TV. Turn on - find a sacrament which returns you to the temple of God, your own body. Go out of your mind. Get high.